When I was a young lad in college, this article would have made no sense to me. I had one towel. I washed it often. The idea of having so many towels that I would need to find creative ways to use the old ones, well, that didn't occur to me. Then I got married. And the towels multiplied like Tribbles on the Starship Enterprise. That’s why I’m writing this article now. If you’re like me, you have a cupboard devoted to towels. Beach towels, bath towels, hand towels, wash cloths — you name it. But on a regular basis, towels become a little too frayed and raggedy to be effective and comfortable. That’s when you usually throw them out. Let’s start with the most obvious and the easiest to do. If you do a lot of work in the garage or just need a bunch of inexpensive cleaning rags for household chores, an old towel can save you a chunk of money. I recently bought a bag of 12 terrycloth shop rags for $6.99. I could have gotten the same 12 for nothing if I had raided the towel closet for an old towel. It takes seconds to cut them up, and they last a long time. Old towels can be sewn together to make a huge picnic blanket. Take four to six bigger bath towels, and then using a sewing machine or an old-fashioned needle and thread, create a blanket two towels wide by three towels deep. Roll it up, store it in the back of the car, and next time you have an impromptu picnic, you’re all prepared. The old towels may not be all that good for drying you, but they’re still perfectly good for drying dishes. Cut them into dishtowel sizes, and hem the edges. They really soak up the water when you’re drying dishes. This one takes a little more creativity and requires a few more materials, but it’s worth it. You also get to revive an old pair of slippers or flip flops that were destined for the trashcan. By tracing around the slippers and doing some careful sewing, you’ll get a great pair of spa slippers for almost nothing. Spa slipper instructions are available over at Crafty Nest. The ironing board in our home gets some abuse, and after a while, it gets stained and old. You can easily make a new ironing board cover by using towels and an old bed sheet. Cut the towels to size, then cut the sheet larger than the board so you have extra space to wrap around and create a drawstring pouch. It takes basic sewing skills and a little time, and it’s way cheaper than buying a new cover. I won't lie; this one is not for me. My wife, yes — my sewing skills do not go too far beyond sewing in a straight line. However, if you have the aptitude, it is apparently “quite easy” to turn old towels into a robe for your child. Full robe instructions (PDF) are available from Sew Mama Sew. It’s amazing — the food that doesn’t end up in your baby’s mouth could feed a small army. It instead ends up covering the bib, which is why it’s good to have a decent supply of them. One towel can boast as many as 15 bibs. Just cut a bib shape, hem the edges (or sew a bias tape edge) and leave room for ties. Very simple. I personally have a manly scrubber made of plastic and something resembling blue concrete. It’s not pleasant, but it gets the job done. If you want something a little softer, old towels can easily be transformed into bath scrubbers (also known as poufs). Bath pouf instructions are available from Ruffles and Stuff. 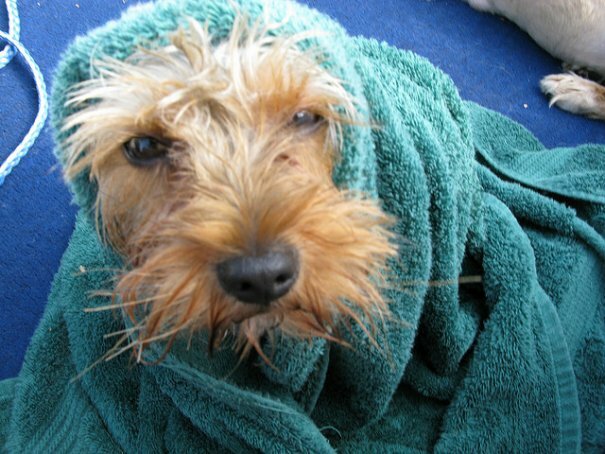 Your local pet shelters are always in need of donations, and towels are very useful. They can be used for bedding, hand towels, cleaning rags, toys, bathing, and more. Keep a box in your basement or garage for towels that have outlived their usefulness at home. When it's full, take it to your local pet shelter, and they will love you for it. A box of 12 Swiffer pads can cost you around $8-$12, and they are not reusable. You can cut old towels to shape, do a little sewing, and you have great Swiffer pads that cost you nothing and are also washable. Create a stack of Swiffer pads, and you’ll never have to buy new ones again. New parents know how expensive supplies can be. Diapers, wipes, baby powder, formula — the list goes on. You can at least make a dent in that list by recycling your old towels and using them as baby wipes. Cut them into small squares and keep them by the changing table. When it’s time to change a diaper, soak it in a little warm water, wring out the excess moisture, and wipe away. Keep a pail by the side of the changing table to drop the used wipes into. If you do cloth diapering, you can wash them at the same time as those. Otherwise, put them in a separate wash when the bin is full. If you’re a gardener or you do jobs that require a lot of kneeling (flooring, cleaning etc), then old towels can be turned into some very handy knee pads. All you need to do is cut them into six-inch squares, sew 4-5 of them together, and apply some strong elastic. Kneeling is no longer hard on your knees, and it’s also easy on your wallet. If you really don’t want to do any work at all, just fold an old towel several times and kneel on that. Not as handy, but still effective. When the winter comes and the wind finds its way beneath your doors, stop it in its tracks with an old towel. Simply roll a towel along its longest edge into a sausage shape, and put it at the base of the offending door. No more draft, and it cost you nothing to defeat it. First, an obvious admission — I’m not a lady, and I’ve never had a need for these. The whole idea of reusing something for such a purpose seems to be pushing frugality to its limits, at least when I first heard about it. But it seems like there are many ladies out there who have transformed old towels and flannels sheets into washable sanitary pads. If you still wash the floor with a more traditional mop (rather than the Swiffer varieties), then old towels can be turned into great mop heads. In fact, according to this Instructables tutorial, it's the best mop in the world. Just cut your towel into lots and lots of strips of equal width and length, secure them together, and start mopping! It’s hard to throw away really good-looking, well-designed towels. If most of the towel is in good condition, but it’s showing signs of wear and tear around the edges, you can still make use of the nice pattern. Simply cut two squares out of the towel, roughly 10-12 inches square, and stuff with batting (or put an old pillow inside). Then either sew up the towel, or add a zipper or buttons to close it up. This can be a great way to coordinate with your current bedroom/bathroom decor. I've talked about cheap dog toys in the past. The old towel works great. Just cut it into strips about an inch or two wide by about a foot long. Knot them all together, and you’ve got something tough that will last for months. Note — several readers in the past commented on some homemade dog toys not being good for dogs. As always, if you’re in any doubt, don't do it, or keep an eye on your pooch when he or she is playing. When you move house, old towels can really help you protect your fragile items. Wrap crockery in them, use them to pad awkward spaces in boxes, and or wrap them around furniture to prevent scratches. Every kid out there knows that a towel's main purpose is for tying around the neck and being Batman, Supergirl, or any other hero of choice. Well, why not make it official with an old towel? You can easily modify an old towel by adding ties to one end, and perhaps a colorful insignia or patch from scrap material. It's cheap, and the hours of fun it will bring are priceless. There are 19 uses. I’m sure you can think of more, and I'd love to hear about them. 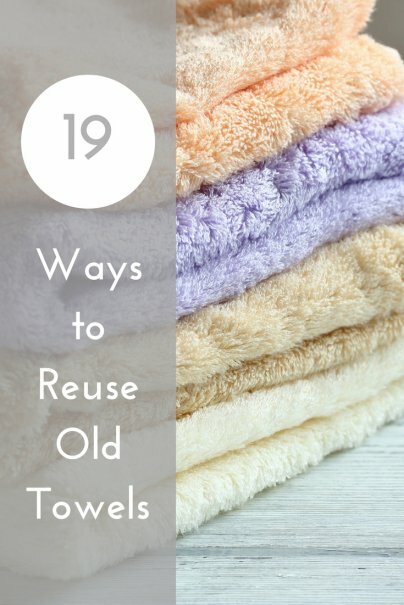 Leave your great uses for old towels in the comments, and let’s see how far we can push the humble towel beyond the regular shelf life. An excellent list. Regarding number fourteen, though...I used to be one of those ladies, until my sister, a nurse, educated me about the dangers of human blood (even my own). I won't go into the...errr...gory details, but from a health and epidemiological standpoint, blood can be seriously nasty stuff. Even a thorough washing with bleach and hot, hot water is not sufficient for fibers and other porous materials. So even though I don't react to blood as icky, as a lot of people do, I decided to forego frugality in this area for health reasons. Have you tried using a Diva Cup, Moon Cup, or Keeper? I've been using a Diva Cup for years, and I love it! They're safe and provide the same reusable benefits. This was the way it was done when my 82-year-old mother was young. My aunt even sacrificed some of her wedding-gift towels for this purpose. 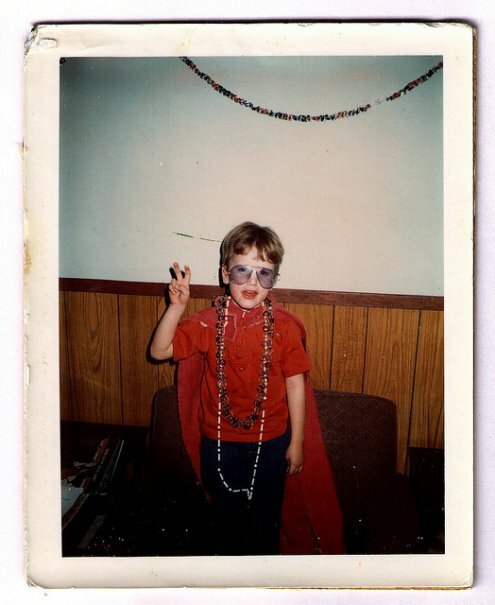 My mom says the disposables are one of the greatest inventions ever. Yet hospitals reuse gowns, bedsheets, and the like. Keep them in a watertight bag, that can be wiped out or washed(like the ones made for reusable diapers), wash, sun dry(if possible, and then sanitize by boiling them for at least 5 minutes. This would come in handy if I could bring myself to stop using old towels. I used an Amazon.com gift card to get two new pairs to replace two old ones, but find myself still using the old ones and trying to keep the new ones nice! Seriously? Gross. I actually don't like the website now because of that suggestion. What do you think women used before brands like Kotex and Tampax came along? It's unnecessary unless your budget seriously won't allow for disposables. But why would you want to. Although, things like reusable breast pads are far more conventional than disposables. Practically the same instance, but for breast milk. Wow! I cannot believe there are a lot of ways that we can do with our old and used towels. Most of our old towels end up as cleaning rags, dishtowels, ironing board cover, and towel for our pet dog. Spa slipers, bibs, and baby bath robes sound interesting and fun to do but like you, my sewing skills is only limited to the basic. What a lot of ways. How did you think of the all? Most people know about rags, pet beds etc. but the ideas for a picnic blanket and donating to shelters were great. Maybe I can release my grip on a few of my old towels and use your ideas. I think 18 ways would have been more than sufficient (without #14). Yes, I know that's how it was done in the 'old days' but there are lots of things our ancestors did that would be considered unsanitary now and this is one of them.